Description: Jeremiah is the world’s biggest baseball fan. He really loves baseball and he knows just about everything there is to know about his favorite sport. So when he’s told he can’t play baseball following an operation on his heart, Jeremiah decides he’ll do the next best thing and become a coach. 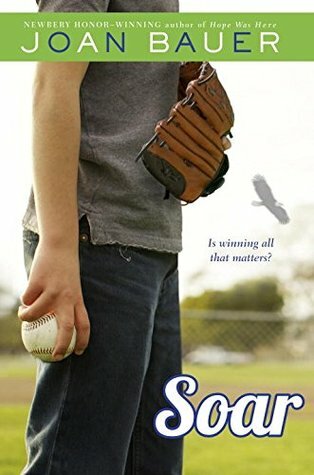 Review: Soar is a fun book that combines sports, friendship, and hardships with a resilient and inspiration main character. Jeremiah has been through and continues to have obstacles in his way. He was abandoned as a baby, but adopted by a loving and adoring single father. Jeremiah lives and breathes baseball and dreams of one day to become a professional baseball player. His dreams, however, are shattered when he is diagnosed with a severe heart condition, had to get a heart implant at just 12 years old, and has to avoid any and all activities that requires his heart to pump faster. It is very easy to Jeremiah to pout and sulk about his limitations, but always takes things in stride. 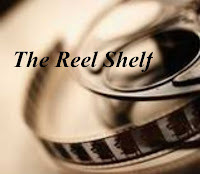 Soon after he and his single father move to a town that is something of a baseball capital, the entire community is shaken by the death of a beloved school baseball player-and a town scandal that is revealed in the aftermath. Jeremiah finds himself playing the sport that he loves-just not as a player but as a coach and instilling pride and motivation into bringing baseball back to the local middle school, reviving a lackluster team, and ends up stealing the hearts of the entire town. It is hard to not like Jeremiah as his enthusiasm and charm are contagious. I just would have liked to get to know more back story to the secondary characters such as Franny and her autistic brother. Overall, Soar is a great summer read with the baseball season underway and will be enjoyed by sports fans and non-sport fans alike. I love that he still found a way to "play" the sport. This sounds like a very inspirational and uplifting read! This sounds like a nice, inspiring story for younger readers, kind of like a Rudy for kids. This sounds like a nice uplifting and positive book! Aw, I've always loved feel-good-underdog sports movies, so I'm sure I'd enjoy this too! Sounds a little low for my population. But I hope it is picked up by the middle schools.